This year marks the 50th anniversary for Doctor Who. 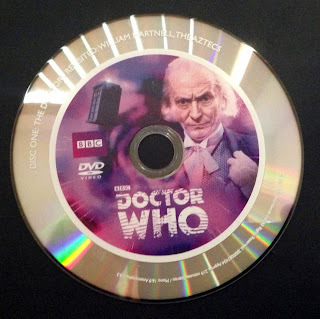 In the UK, there have been a couple of DVD sets that have come out to commemorate the anniversary but there hasn’t been too much over here that has done so beyond the regular schedule of stories to be released. 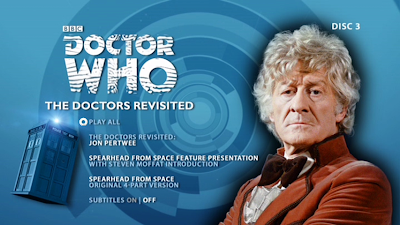 The set I am reviewing today is the first set of Doctor Who: The Doctors Revisited covering Doctors 1-4. To my knowledge something like this doesn’t look like it is planned to come out in the UK. I like the idea of this set, I like the contents but the whole thing confuses me a little. Bear with me as I try to unravel this set a little bit. 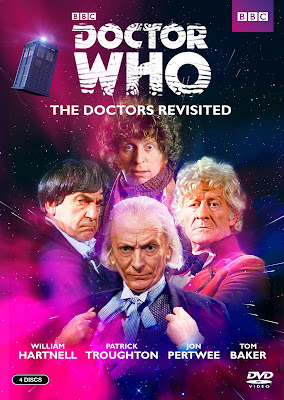 This is an interesting DVD set and probably the first time that the actual Doctor Who stories on DVD is actually relegated as an extra. Because of that, I am not going to spend a lot of time on the stories but on everything else including the packaging. 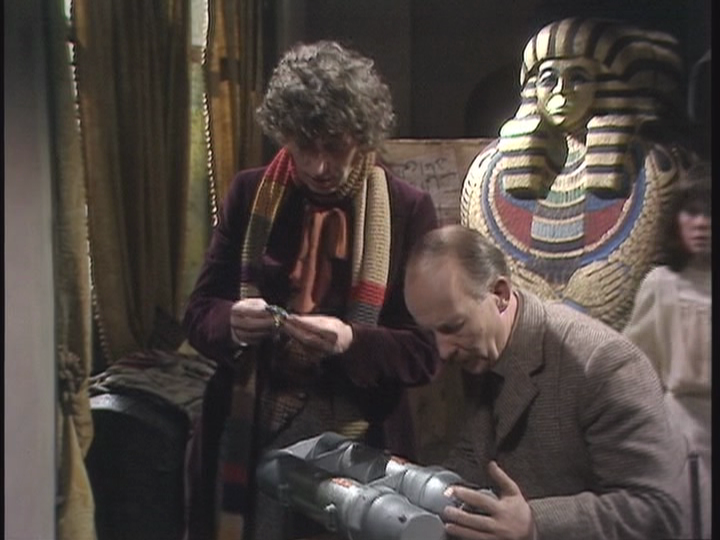 This is not presented in a way that Doctor Who has been presented on DVD before and it is worth taking the extra time to explain what we have on this set because it is really interesting. 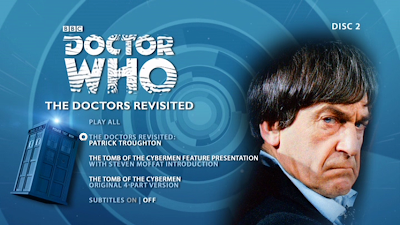 The main feature on each set is called The Doctors Revisited. I am not sure if these specials have a larger purpose than just being on BBC America but since I don’t know that for sure, I will just tell you what I know even if it is in ignorance. 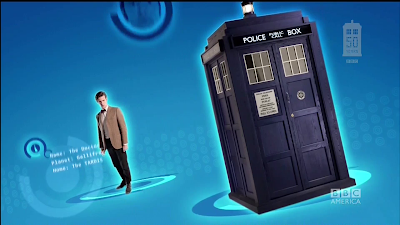 Back in January of this year, we found out that BBC America was commemorating the 50th anniversary by airing 1 story from a different Doctor each month. Starting in January with the first Doctor, William Hartnell, we were treated to The Aztecs. What made this more of an event was that each story would be preceded with special about that Doctor. What is now termed as “classic” Doctor Who had not been on BBC America in years let alone serving up such a diverse selection of stories. This truly was an exciting prospect and I immediately began hoping that fans that have only experienced the new series would check this out too. The night on BBC America would go as follows: The Doctors Revisited, story introduction by Steven Moffat and the story. With this DVD set, I can recreate that evening. I have never been a fan of the Doctor Who specials that were aired by BBC America during Series 7. These are the talking head specials about the scariest villains of the series or best companions yet these specials never left the realm of the new series. Also, the celebrities were people I had mostly never heard of in my life. I understand that people liked those but they left me cold and I felt Doctor Who deserved better. They would get it with these specials. Overall for The Doctors Revisited, within the span of about 25 minutes per Doctor, would be an overview of that Doctor’s era plus a look at the companions for that Doctor and some of that era’s most notorious villains or monsters. To start with, these are slick looking productions. What holds these productions together is the motion graphics which are simply gorgeous. This sets the tone for design. They are intricate with a lot of moving parts. I really believe without these, the program would be a much lesser entity. These graphics were done by Michael Dinsdale. I know of him through the various work he does the on the DVD range and he posts on one of the forums I post on. The work looks professional and is exactly what these programs need. With the graphics being the baseline to the specials, we are treated with a whole host of people from the series in different forms to talk about these eras. 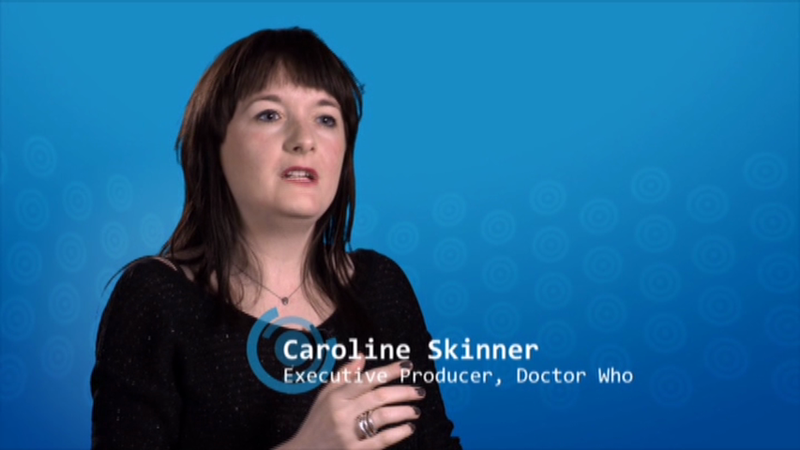 These are actual people who worked on the program past and present such as William Russell, Frazer Hines, Richard Franklin, Tom Baker, David Tennant, John Barrowman, Caroline Skinner. 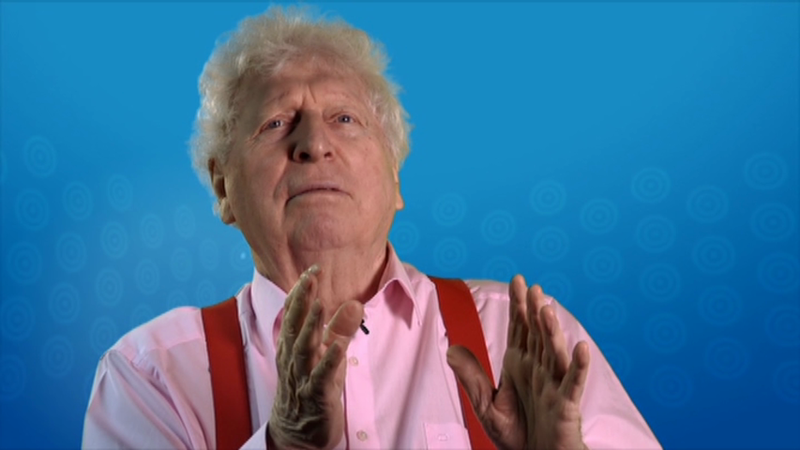 The anchor interviewee is Steven Moffat. Since this is his show now, he passes on comment about these eras and almost puts it into context. I feel he is talking to new series fans and I am OK with that. I can guarantee that I am not going to watch something like this and learn something new. I am pretty advanced in my knowledge of the series. It doesn’t mean I can’t still enjoy it but the whole time I am watching it, I am hoping that someone who has only seen a Tennant or Smith story watches this and thinks, “I now want to see more!” To me, that would be great! 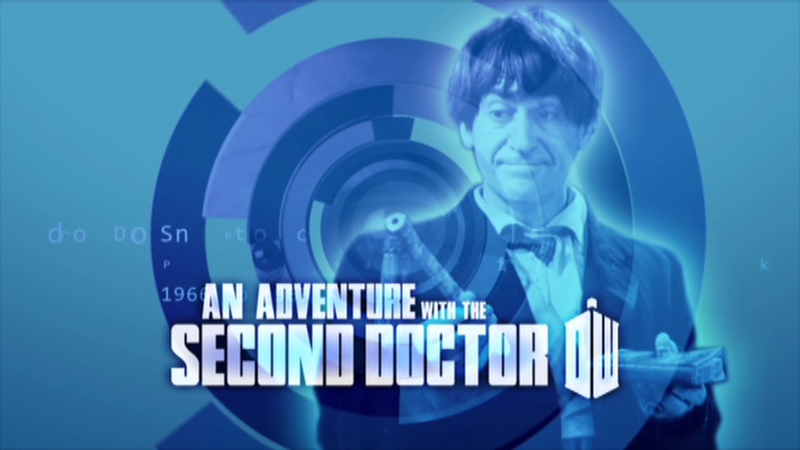 I think another area these specials succeed at is with the clips that are used in each special which will come back and bite this DVD later. 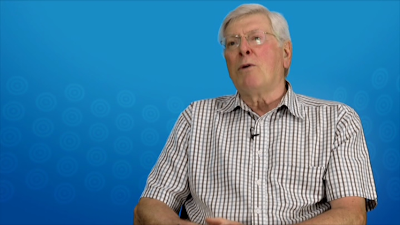 All the clips used in these specials are presented in proper 4:3 and from the most recently restored sources. The clips look simply amazing. I have seen these specials in HD and the clips look tremendous upscaled to HD. 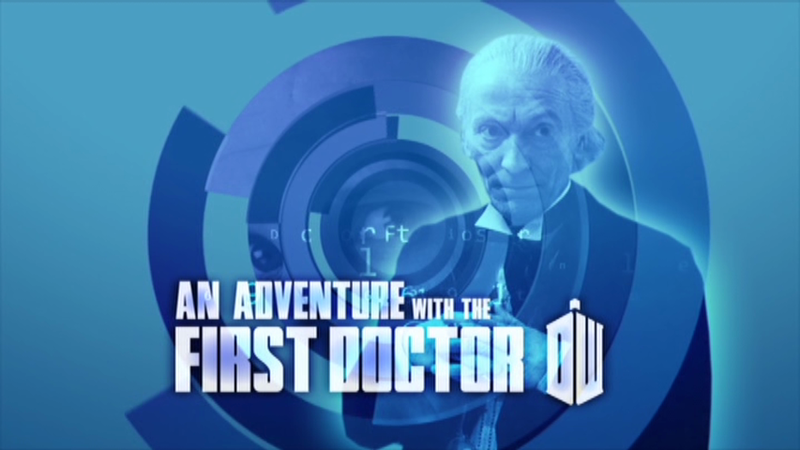 Yes, the fan boy in me giggled when clips of things I had never seen on broadcast TV were in this special such as clips from The Tenth Planet or color Doctor Who and the Silurians. When I was watching it, I was excited by the prospect that at least a half a million people were watching these clips with me. The downside to these specials is that some of things are overlooked. 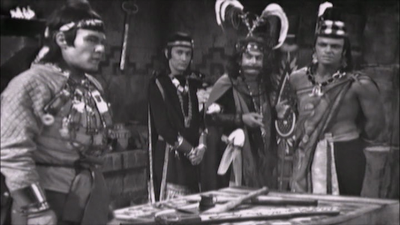 For example, when going through companions for the first Doctor era (just so you know, I prefer to call him the original Doctor) Vicki, Katarina, Sarah Kingdom, and Dodo were overlooked. 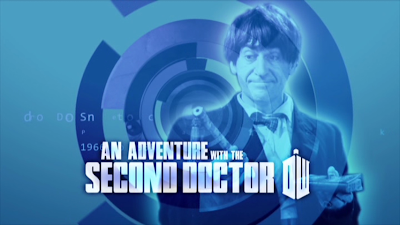 When we get to a special that has hold over companions from a previous Doctor, they are not mentioned at all such as Ben & Polly in The Doctors Revisited: The Second Doctor. I have heard people complain these specials are lightweight but I don’t really agree. They have 25 minutes to give an overview of each Doctor’s era. I think these do what they are supposed to do. I wish they would be a little more accurate such as with the companion situation above. What does frustrate me is when we put the modern spin of the character on these classic series Doctors. Moffat keeps talking about how “mad” everything is in the series. He’s still calling the Doctor a mad man in a box. This is something he came up with for Matt Smith’s Doctor which is fine but I don’t think this description is suited for any of the classic incarnations. I’m sorry but William Hartnell’s Doctor was never conceived as a mad man in a box. Of course, others may have a different feeling on that matter. The interviews on these specials are generally pretty good. 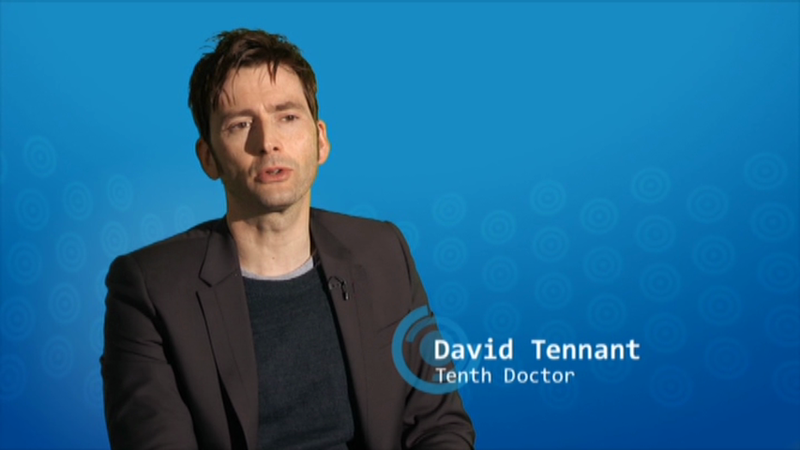 I think the best is David Tennant who provides very articulate and precise commentary on certain aspects of the series. He is insightful and humble. I feel he adds a great deal to these. On the other end there is John Barrowman who I feel doesn’t add anything to these. Generally he is just caddy without providing anything of interest. 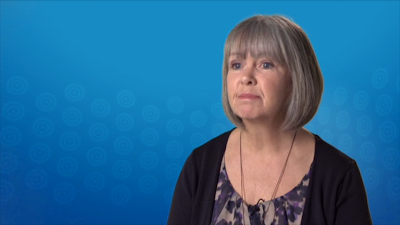 Caroline Skinner is just a sweet woman who gives some very honest and nice opinions on the different eras of the program she used to executive produce. Interviewed on this is: Steven Moffat, Caroline Skinner, William Russell, Neil Gaiman, David Tennant, Peter Purves and John Barrowman. While I was watching this, the thought crossed my mind of any New Series fans checking this out and wondered if they had any opinion of seeing how things looked in the beginning such as the Daleks, the Cybermen or even possibly seeing clips of the original Doctor for the first time. I really do hope some of them found something they liked about this and will check out some more stories. 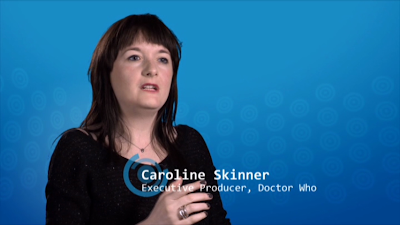 Interviewed on this is: Steven Moffat, Caroline Skinner, Neil Gaiman, Wendy Padbury, Frazer Hines, John Barrowman and David Tennant. This is a really good installment because there is a lot to cover. There are some interesting points made here such as while talking about regeneration, Moffat is truly amazed that the producers at the time decided to go this route instead of just picking someone new, put a white wig on him and try to pass him off as basically Hartnell. I think this is stuff we take for granted. Moffat goes into detail about how Matt Smith loved Troughton and The Tomb of the Cybermen where he based a lot of his performance plus that is where the bow tie came from for his own look. Curiously, they describe Zoe as a “Kung-Fu fighter”. Hmmm….I know she did it in one story (The Mind Robber) but that would hardly be enough to label her as such, is it? 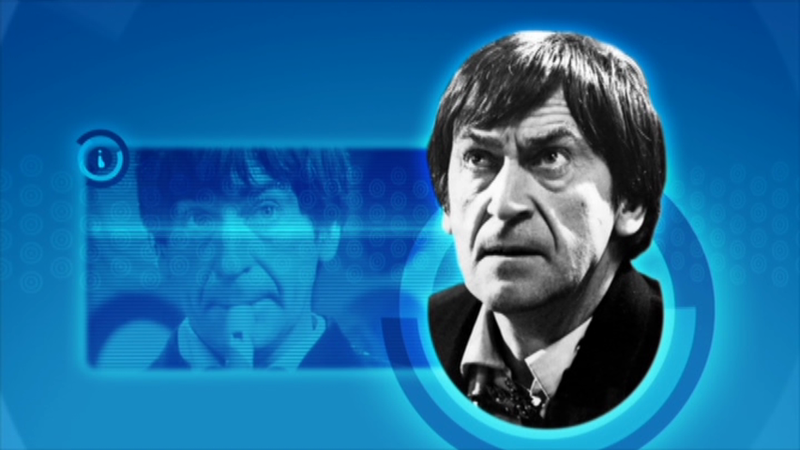 The special ends quite nicely with David Tennant summing up how basically every Doctor that came after Troughton has taken something of Troughton with them when they played that role. I think I can agree with that and it is really a nice way to end that installment. 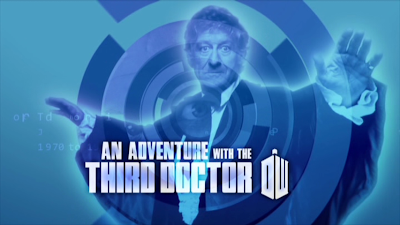 Obviously, this installment talks about Doctor Who moving into color and the Doctor, himself, being exiled to Earth. I don’t know why but the lure of this isn’t so great for me on this installment. I think it is down to personal preference but this one, out of this set, is among the least interesting for me. It’s made just as well as the other ones but fails to grab me. This possibly has to do with the fact this is the least amount of original cast members in one of the Revisited specials? Interviewed on this is: Steven Moffat, David Tennant, Marcus Wilson, Neil Gaiman, Louise Jameson, John Leeson, Nicholas Briggs, and Tom Baker. 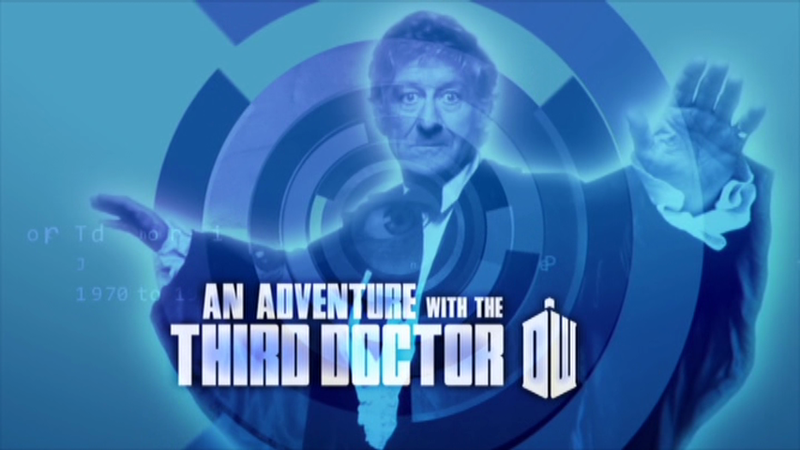 This, for obvious reasons, is the first special that has the Doctor from that era interviewed. It is really nice to see Tom Baker on this. Just his presence adds much to this. There is a point where he almost calls the Zygon voices rubbish until he catches himself and says something else. It’s really amusing. 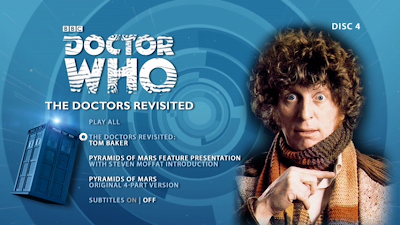 This is a monumental task trying to give a decent overview of the Tom Baker era in 25 minutes. It does fit a lot in but also leaves out stuff. I guess I find it really hard to believe there wasn’t some way to include a mention of Romana. As this installment goes through the fourth Doctor’s companions, Romana is completely left out. I think it is a shame they were not mention at all in some way. I think it could have worked. I understand it would have been literally a mention but at least they would have been included. I don’t know if there are longer versions of these specials but seeing some of the names who made this, I am surprise by these oversights. 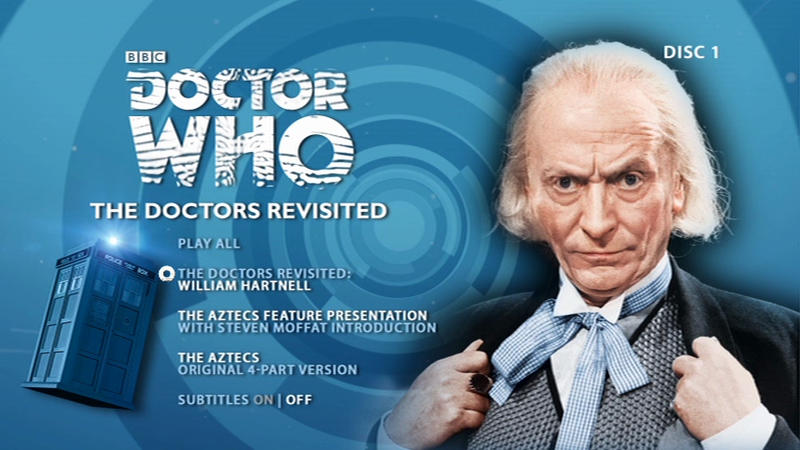 As mentioned above, each of these installments of The Doctors Revisited included one story from that Doctor’s era. Due to time constraints on the commercial cable network BBC America, it was clear that only 4-part stories were up for consideration. 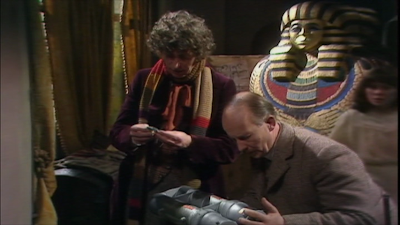 Thus the stories in this set are: first Doctor: The Aztecs, second Doctor: The Tomb of the Cybermen, third Doctor: Spearhead from Space, fourth Doctor: Pyramids of Mars. This is where it all starts to get curious. I think these are all great stories that were picked for the broadcast. Each one’s inclusion makes sense to me. I am not going to go into detail about the stories. 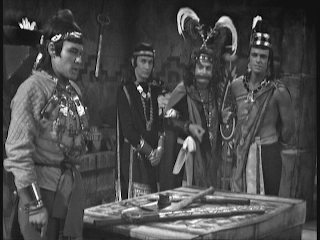 I had recently done a review of the Special Edition of The Aztecs that can be found here, I did a look at The Tomb of the Cybermen that can be found here, I will be doing an in-depth look at Spearhead from Space in less than a month when the Blu Ray comes out and Pyramids of Mars is just plain awesome. What makes the presentation of these stories interesting is that they are on each disc twice. Once in a movie version presented in 16:9 including an introduction by Steven Moffat and once in its original 4:3 episodic versions. 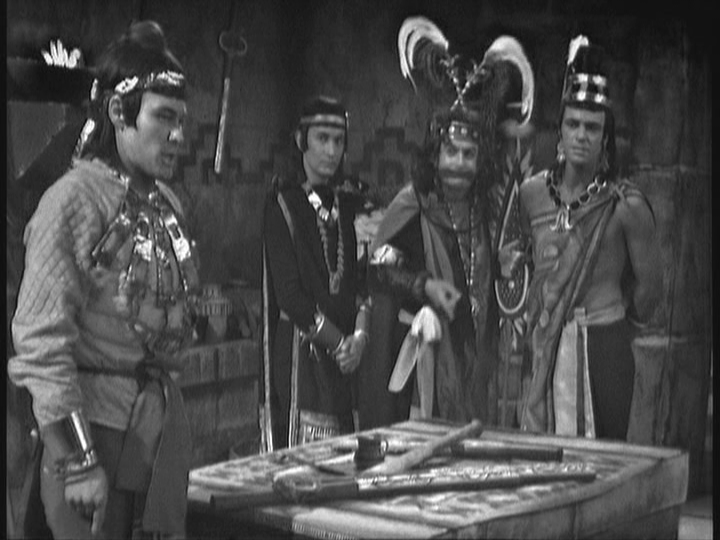 Curiously, when The Aztecs originally aired on BBC America in January, it wasn’t just a straight forward 16:9 presentation but it is that way here. One of the most shocking aspects of that production was how BBC America showed The Aztecs from some older master that must have come from the days of PBS or the VHS line. It was horrible, unrestored with horrible sound and scratchy picture. 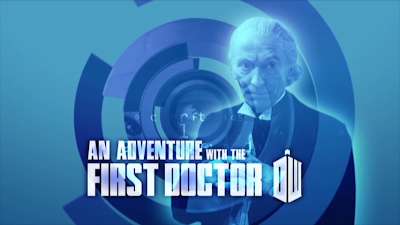 It was really bad on BBC America and really bad here except that it is now 16:9 but it doesn’t do the picture any favors. Even stranger is that the 4-part episodic version is the original restored version from 2002 and not the most recent version from this year. The other stories are a little more straight forward. Somewhere it was decided to use better quality masters than what they did for The Aztecs. 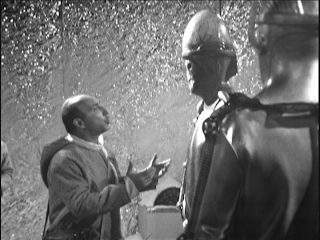 The Tomb of the Cybermen and Spearhead from Space both use their original restored masters from 2001 for the movie versions. 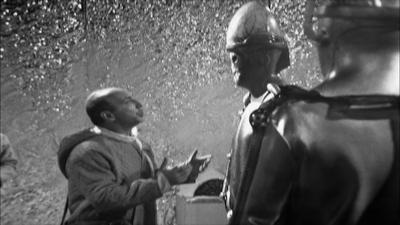 The episodic version of The Tomb of the Cybermen is that original restoration but Spearhead from Space is a little different. 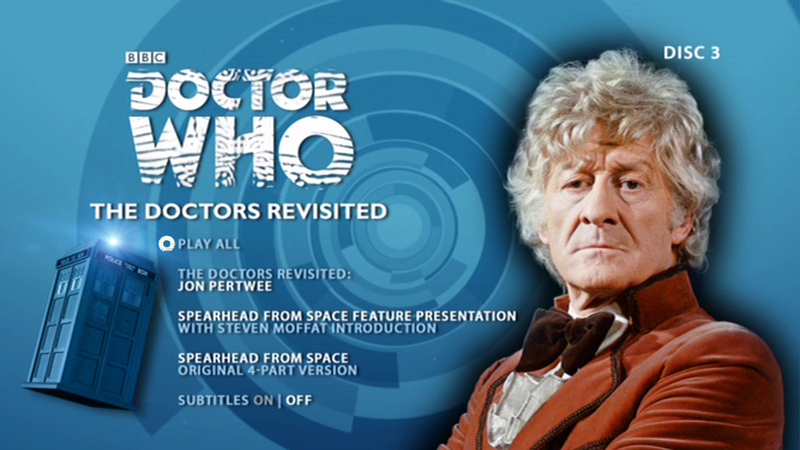 The episodic version of Spearhead from Space is the most recent restored SD version from the DVD that came out in out in 2011. It is easy to tell. The picture is much better and it has the TARDIS dematerialization SFX “fixed” thus also has Fleetwood Mac on it too. Perhaps this as included because it is the complete version of the story? 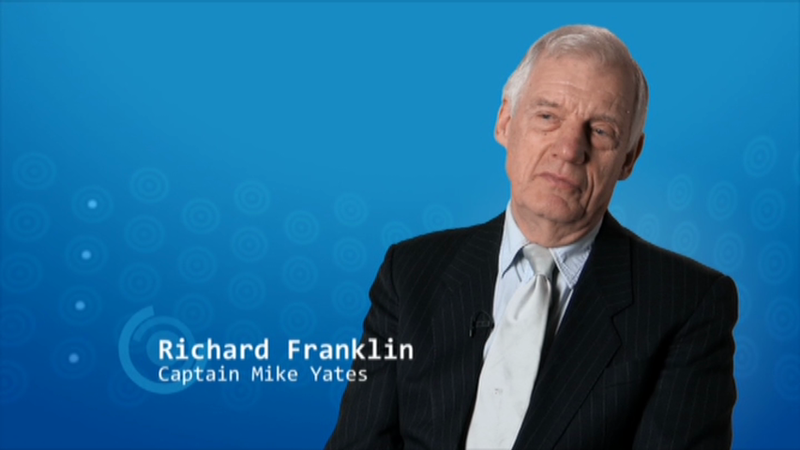 Pyramids of Mars is from the original release too. One other oddity is that when The Tomb of the Cybermen, Spearhead from Space, and Pyramids of Mars originally aired for these specials on BBC America, the titles all retained the “Episode One” caption. On this DVD release, they have been edited out making for a much smoother transition into the story. All of the movie versions have remade end credits that are kind of odd. They are long because the credits for each episode plays and when the credits are done the music just cuts out. I think this set missed a trick by not being released on Blu Ray. Before someone comes on here to “educate” me as to how expensive this is, here me out. 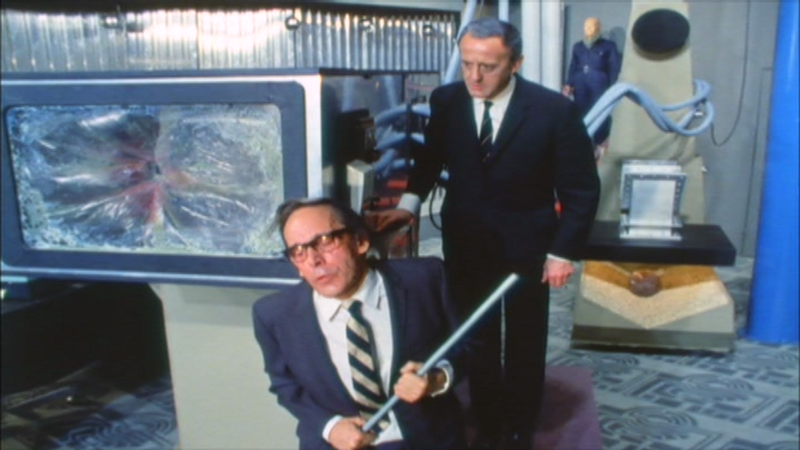 These specials were made in HD with the archival content within the specials upscaled to HD. They looked great. It would have been an interesting testing ground to take these specials and the stories that they featured and released it all on HD on Blu Ray. The caveat for that is that they would need to use the most recent restoration masters to use the best looking material but I think that would have been interesting and would have sold. 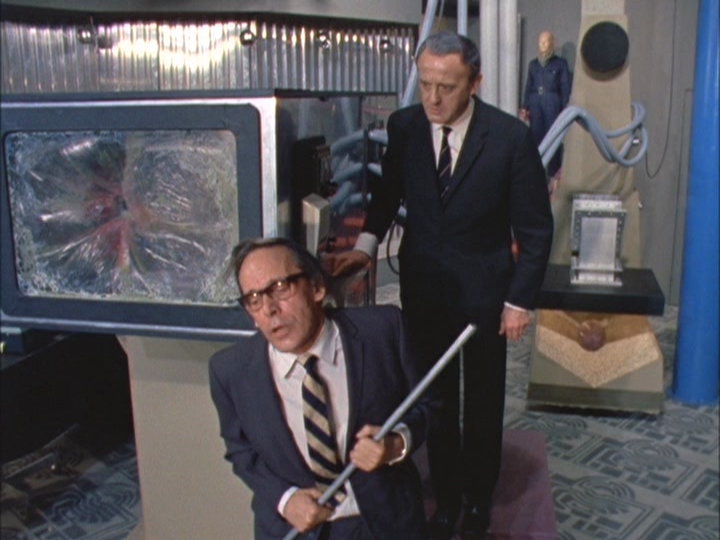 The one main hole in this plan is that Spearhead from Space is going to be released on Blu Ray in a month anyway. That being said, I would have preferred that as I hate buying stuff that has been made in HD but only available to purchase in SD. I do feel this is where this set really excels. The 4 DVDs are housed in a regular sized Amary case. I think it is important to spend some time on this because the packaging differs enough from main range but is totally acceptable and still fits in with my collection. The cover is smart. 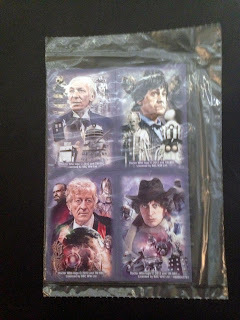 It is a very simple design that has nice shots of all 4 of the Doctors that feature in this set. 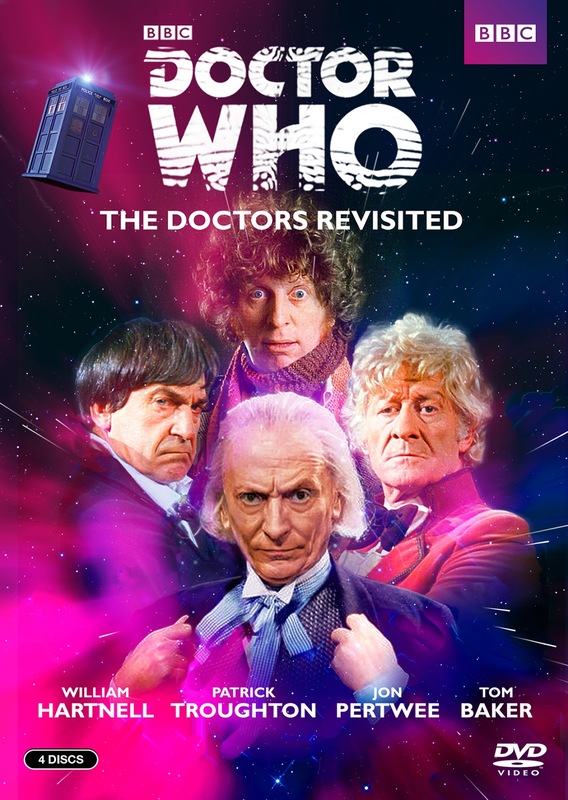 The cover features nice shots of the Doctors. Instead of what the BBC calls “the blue mirror” Doctor Who logo, we get the official 50th anniversary logo which is simply divine. I love the look of this thing. Whoever came up with that, nice job! The DVD labels are beautiful. 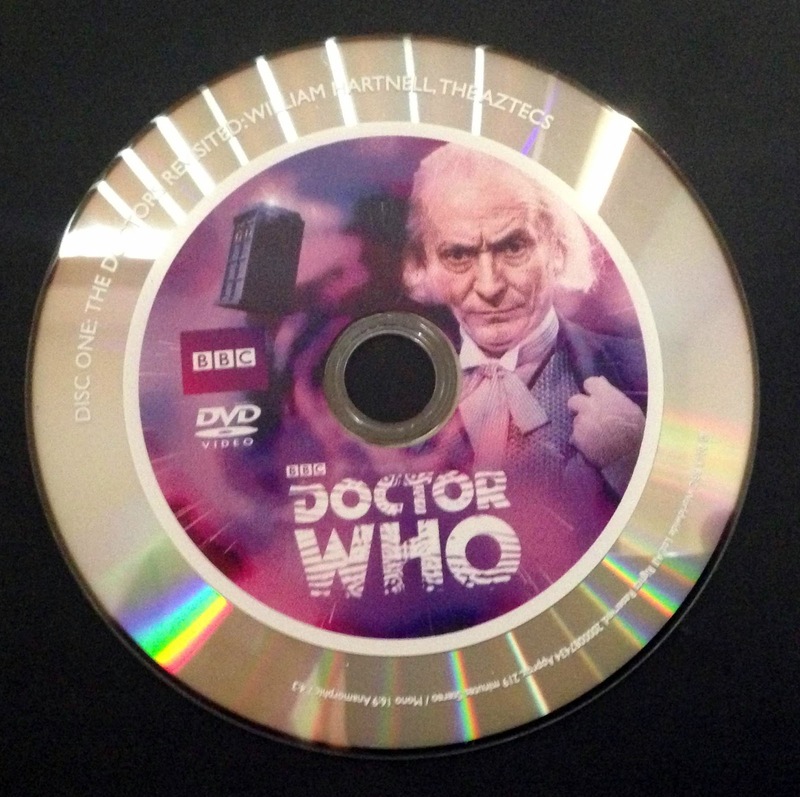 As you can see, the label is in the center with the picture of the Doctor on the disc with that wonderful logo. The outer ring is the reflective surface of the disc with the name of the story printed on that ring. It is really nice looking! I wish they were all printed this way all the time! It really gives the feel of something special to the set. The menus are different from the regular menus we get on the regular line of DVDs. 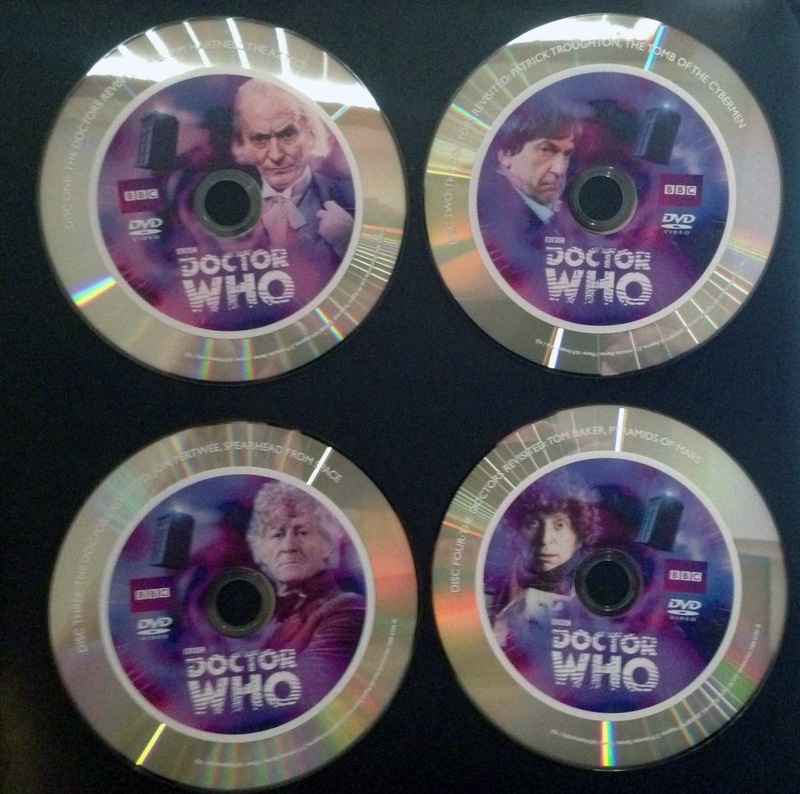 No roundels but a very simple duplication of the style of the graphics featured in the specials. They are very simple straight-forward menus. What I didn’t expect to be part of this set is a set of refrigerator magnets. 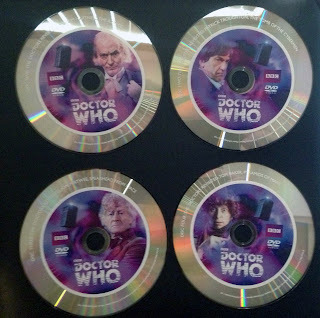 In fact four, one for each Doctor featured. They are nicely designed and fun. It was a nice surprise and I am glad they did this. 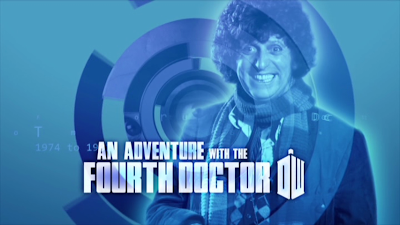 I feel the Steve Moffat introductions are mostly fluff. I am sure people will like it but to me they don’t do much especially as he calls everything “mad” & “bonkers”. I just enjoyed the stories for what they are which is brilliant! I am not completely sure who this set is aimed at to buy. Is it aimed at the collector like me or is it aimed at new series fans? I have bought The Aztecs 4 times, The Tomb of the Cybermen 5 times, Spearhead from Space 4 times (5 with the upcoming Blu Ray) and Pyramids of Mars 3 times. 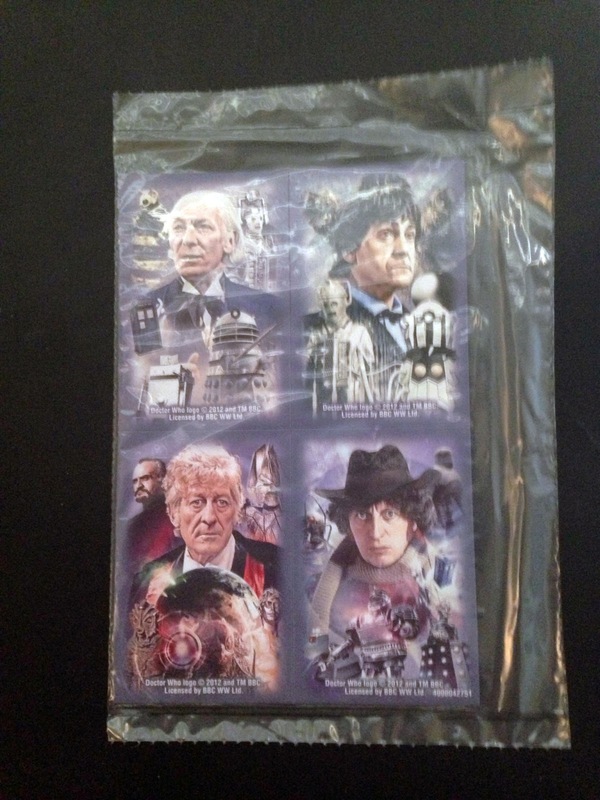 I think the real reason to get this set is to have The Doctors Revisited specials. If you have no interest in those and you have these stories already, there probably is no reason to get this set. If you are a new series fan and want to pick up this set to investigate a few of the Doctor’s finest adventures at once……enjoy! Next week: I take a look at some very archive television as I go back to the very first episode of Z Cars with Four of a Kind. It is a great reminder that not all good British television is off-beat or a historical drama. Is it just me, or does it look like they just stretched the stories to fit them to 16:9 rather than masking the top and bottom or some other method? Anyway, I really don't see myself bothering with this release. 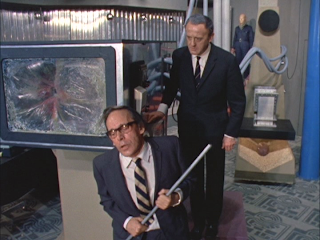 Yeesh - on second look, if the screengrabs are anything to judge by, they masked AND stretched. The 4:3 shots have more information at top and bottom, while the 16:9 shots just don't look good at all. The 16:9 versions are very odd. I am not sure why they did them in that way. 50th anniversary for Doctor Who In the UK, there have been a couple of DVD sets that have come out to commemorate the anniversary but there hasn’t been too much over here. Beside story quality of DVD will be considered as a plus point of any movie. For best you can find product specifications.